In honor of the 4th of July this week, we're listing off the brands that show the most American pride. Keep reading for a little splash of patriotism and other fun marketing news in this week's Inbound Marketing Highlights. 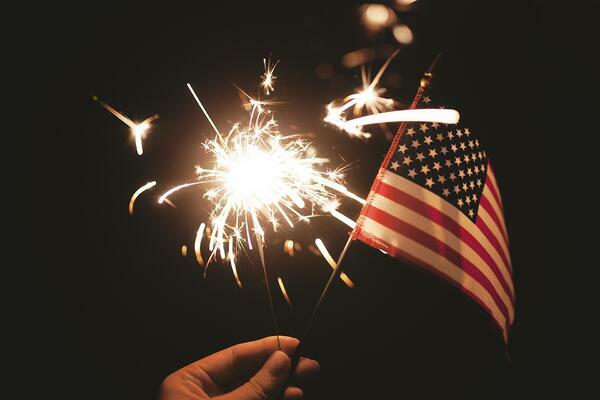 With Fourth of July right around the corner, Brand Keys conducted their 16th annual rankings of patriotic brands. The top 10 included Ford, American Express, Hershey’s, Twitter, Jack Daniels, AT&T, Walmart, and Levi Strauss. Some brands that were notably excluded from the list this year are Facebook, who faced the recent Cambridge Analytica scandal, as well as the NFL who is facing national anthem controversy. Harvey Davidson also dropped after moving their manufacturing oversees. Meanwhile, quintessential American brands like Jeep, Coco-Cola, and Disney have maintained a high rank, year over year. Geotargeting Marketing in an Age of Data Control: Futuristic, or Just Creepy? Not too long ago, geotargeting in the marketing world was looked at as “futuristic,” “personalized,” and “useful.” But once the mechanisms behind geotargeting surfaced, everything changed. The Facebook scandal along with other privacy issues scared the public, and people soon became uncomfortable with the amount of data companies had access too. To make things even trickier, GDPR added guidelines marketers need to abide to, or else they will face penalty. This article explores demographic based targeting and personalization. It also asks the question: what types of geotargetting overstep? What do you think the line is with this issue? Out of PTO days? Smirnoff Ice is paying 100 people to take a long weekend for the the holiday, Fourth of July on a Wednesday is “un-American." So how can you get a paid vacation this Thursday and Friday? The rules are simple. Smirnoff wants you to tag @SmirnoffUS on Facebook or Instagram and share how you would celebrate the extended weekend. The brand has also brought back it’s limited-edition Smirnoff Ice Red, White, & Blue malt flavor. According to a recent study, consumers are increasingly disappointed with the lack of in-store technology, specifically in restaurants. While many restaurants are now offering in-store technology like digital kiosks and self-checkout, most of these offerings fail to deliver a seemliness experience. Implementing new technology also proves to be a challenge with adoption of pre-ordering apps being lower than expected. Lastly, this technology increases stress for the workers who have to manage both digital and in-store orders. While customers do enjoy the ease of mobile and digital ordering, restaurants need to focus on the holistic customer journey. Much of the chaos can be addressed with separate lines, drive through lanes, or parking spots for digital order pickup. A new marketing platform is seeking to make obtaining celebrity endorsements and influence marketing easier for brands. The site VIP Suite just launched and already has over 1,000 celebrities signed up to represent brands. The goal is to create authentic and long-lasting relationships between talent and their fans. It will also present organic exposure for brands as well as paid-for collaboration with the celebrities. “The VIP Suite is set to change the celebrity gifting industry and make it far more intentional. We created it as an antidote to generic influencer algorithms and cookie cutter strategies, improving the scattergun approach currently used by brands in the bid to acquire celebrity endorsements. The direct-to-talent platform not only gets a brand’s product directly into the hands of celebrities, it helps them identify their fans to create a much more authentic working bond, providing them with insights they can nurture and grow.” - Cofounder, Emma User. That's this week in Inbound Marketing Highlights, have a safe and relaxing 4th of July and stop by next Sunday for more highlights!